Continue the downtown beautification efforts. Refund our dilapidated housing efforts. (We previously identified 106 structures that are dilapidated, blighted, and past the point of repair and are unlivable. Due to previous efforts, 42 of these structures have been torn down – most without any tax dollars. We need to continue this push, but a budget item must be funded for the few cases where the CITY has to tear down the structure (subsequently putting a lien on the property to recoup those dollars)). Prepare a balanced budget that does NOT raise our citizen’s millage rate. (We have managed to keep our millage rate at the same rate for over 20 years). Continue to improve and market our Hawkinsville Harness Training Facility. In conjunction with DDA, I would like to see the city purchase a vacant downtown building, fix it up, and rent it to a new business (even at a reduced rate), with the understanding that after one year, the business would either purchase or begin paying market rent. If purchased, we would use those funds to do another, and then another, and then…..
Continue to work to improve the River Market and the River Walk. Continue to work with our partners at the Arts Council to better promote and utilize our Historic Opera House. BRING IN INDUSTRY in our industrial park. BRING IN ANOTHER GROCERY STORE. Continue to help grow our existing businesses. Continue to help lead with GMA (Georgia Municipal Association) in helping forge state and federal legislation as it deals with cities. (and stopping the influx of unfunded mandates). Resurface more streets within our city. Modernize our software system to allow for direct drafts and debit cards. Increased usage of Social Media by both myself and the city as a whole. Begin working on our next SPLOST planning to include the new City Hall. Continue to look for grant opportunities to help us with our aging infrastructure. Continue to work with the county on doing a better job of tax equity between the City and County and the continued consolidation of services. Expand and maintain our city cemetery. Expand our Natural Gas Capacity. This is not a complete list NOR is it in priority order. What do YOU think we should add to this list? I would love to hear YOUR concerns…. One of the main complaints of any government (local, state or federal) is that they are non-responsive. I have personally experienced that often. However, I want to try to help that on a local level. As you drive around our city and see things that you think the city should improve on…. Let me know. There are things that we can’t do, such as STATE ROADS, or things that we simply do not have the resources to do. But let me know about them and I’ll do my best! Contact me via TWITTER (@shellyb), or facebook (shellyberryhill) or email (shelly@gawebservices.com). Or comment to this post. I will at worst, shoot straight with you and let you know the status! Pictures of the issues are always appreciated as well. The voters of Hawkinsville / Pulaski County voted down a proposal to consolidate the governments. One of the primary “selling points” to a consolidated government is lowering costs. These same lower costs can be obtained through consolidating SERVICES even though the governments themselves remain separate. The City and the County have done a great job at consolidating services throughout the years. E911, EMA, Recreation, Tax Collection, Fire, Police, Animal Control, Building and Code Enforcement and Economic Development are already consolidated. Beginning July 1, 2015 we are adding ANOTHER to the list. The City is doing away with our Municipal court and turning over traffic fine collections to the county. With the retirement of City Clerk Evelyn Herrington as well as the retirement Lodie Johnson (who managed our municipal court), the time is right. By closing down our municipal court, the city will not have to fill Ms. Johnson’s position, thus saving the costs of that position. We will also not have to retain a municipal Judge. AND hours of work allocated to the City Clerk will not have to be performed. The county Probate Judge, Judge Jeff Jones, will begin hearing all traffic violations. Violations that are CITY ONLY, (such as dilapidated housing ordinance violations), will be heard by a Code Enforcement Board. We are recommissioning our current Zoning and Codes Board as a Code Enforcement board to hear the few CITY ONLY ordinance violations that are heard each year. Consolidation as it relates to cost savings, continues. As it relates to SERVICES, continues to be an area that we (City and County) continue to explore. We don’t need a replication of efforts. We need to continue to find ways to work together to benefit ALL of our citizens. The taxpayers we all serve are the real winners when our governments work together. Well, it is changing again (and this is still in the House Version, we don’t have a clue what the Senate might do). BUT! I must say, the current version in the House is good for Hawkinsville. The School’s ESPLOST will now be unaffected! No losses for the school system in the current version. The only stipulation is that taxes that are received from Motor Fuels, MUST be spent in the area of Transportation, but the definition is pretty broad. The City and County’s SPLOST (and Future SPLOSTS) are unaffected, with only the same stipulation – Motor Fuel taxes must be spent on Transportation. The City and County’s LOST taxes will see an INCREASE in revenue. Although Motor Fuels are being removed, the rest of the sales tax base will be taxed at 1.25% rather than 1%, so it will be a NET gain to the combined CITY/COUNTY of almost $80,000. Hotel/Motel Taxes are also being slightly adjusted upward in the current version. I don’t really understand why. And as mentioned in an earlier post, the current version of this bill will also FORCE a larger state allocation of LMIG (road resurfacing money). Although we have to match (30%) of the LMIG allocation, this WILL allow us to resurface additional miles in the years to come. So…. Although the fat lady has not even gotten up to sing yet, the current version IS good for Hawkinsville. (I am NOT making any such overall statements about whether this bill is good for GEORGIANS or not. 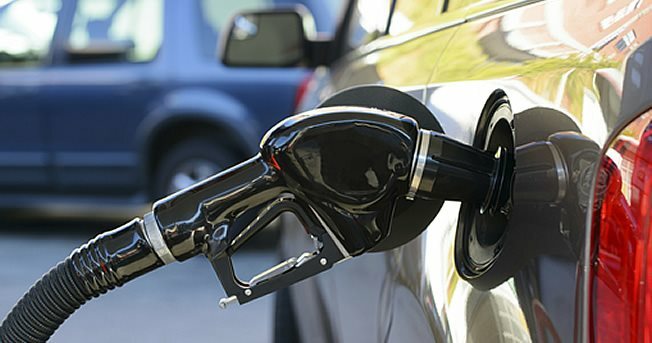 Any way you slice it, it IS a tax increase on gasoline purchases in Georgia). HB 170 – Current Version is MUCH better for our community…. ― That quote fits really well into the legislative process. 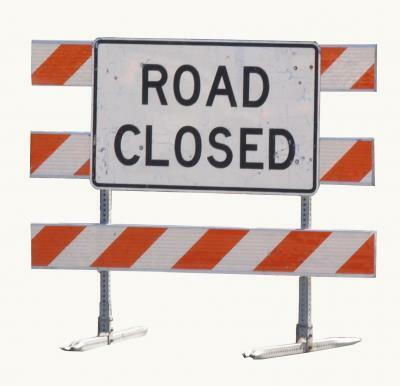 HB 170 – the House version of the transportation bill, as introduced was very UNFRIENDLY to local governments. (Read my earlier post for full details). But city’s around the state complained to their respective representatives. Many cities and counties were passing resolutions asking their representatives to vote NO to House Bill 170. People were screaming, cussing, and complaining. But our representatives LISTENED to us, and the current version of this bill shows that. The House has made significant efforts to address the concerns expressed by local elected officials about the original bill’s impact on local revenues. HB 170 no longer includes language that would give a county governing sole authority to impose, or not impose, a 6¢ per gallon local excise tax. With the local excise tax option removed, so too is the local distribution formula based on DOT’s Local Maintenance & Improvement Grant (LMIG) program. for future SPLOSTs and EPLOSTS, any revenue collected from the sale of motor fuel would be required to be spent on transportation needs, which for cities and counties is defined broadly to include transit, rail and airports, and for schools includes the purchase of fuel and buses. The House Transportation Committee version of HB 170 is a good faith attempt to make cities, counties and schools whole and to use current sales tax agreements for the distribution of revenue. While House leaders are looking for ways to reach the goal of making local governments whole in the aggregate, as with any significant change in what can be taxed as well as tax rates, some jurisdictions would see increases in tax revenue while others would experience a decrease. In our community, the breakdown is as follows. (assuming future sales of motor fuels and other taxable products in our community remain somewhat stable with what 2014 saw). Another benefit to us locally is that the GDOT is legally mandated to re-distribute at least 10% of its budget allocation for LOCAL improvements (know as LMIG – Local Maintenance and Improvement Grants. Last year the county received some $200,000 while the city received some $45,000 (to be matched 30%). Since the GDOT budget will rise SIGNIFICANTLY due to this HB170, our city and county should be receiving somewhere between a 50% and 100% increase in our LMIG allocations. This should result in many more miles of roads within our city that will be repaved during the 2016 fiscal year! So, originally, the bill was BAD….. We complained as did others….. Our representatives listened and the current version of the bill is palatable. Now lets wait and see what the Senate version of the bill looks like. As of today (Valentine’s Day), HB170, the Transportation Bill is in the full transportation committee of the House. Basically, this bill is changing the current SALES tax on motor fuel (Gas & Diesel) to an excise tax. The advantage is that this will level out the fluctuating taxes raised by a sales tax which is dependent upon the price of gas which changes daily. By changing to an excise tax, which is charged PER GALLON rather than PER DOLLAR, it should level out the income received by the state. The trucking industry also receives larger tax benefits on an excise tax over a sales tax, so the trucking industry will see a huge benefit of this change. And we all want to help out industries in Georgia. The State of Georgia is attempting to raise an additional $750 million + (annually) for the Georgia Department of Transportation (GDOT). However, THEY (our state elected officials) don’t want to “raise taxes.” So they are promoting this bill as a “revenue neutral” bill. Yeah, right! If they are bringing in an additional almost 1 BILLION dollars, it’s got to come from SOMEWHERE! That somewhere apparently is going to be from your LOCAL governments (County, City, and School System). You see, our local governments currently receive 3 cents of every SALES TAX dollar raised. 1 cent goes to LOST (Local Option Sales Tax). 1 cent goes to SPLOST (Special Purpose Local Option Sales Tax). And 1 cent goes to ESPLOST (Educational Special Purpose Local Option Sales Tax). When you remove MOTOR FUELS from these sales taxes, this 3 cents will disappear from the local coffers of your local governments. We will still receive LOST, SPLOST, and ESPLOST taxes, but not on Motor Fuel Sales. In Pulaski County, Motor Fuel sales account for almost 16% of the total sales taxes collected in Pulaski County. Therefore, your school system’s next ESPLOST will be reduced by almost 16% which will amount to a LOSS of income to the Pulaski County School system of approximately $131,410 per year. Constitutionally, the school system CAN receive sales taxes, but CANNOT receive excise taxes. And there are no plans by the state to supplement this loss. There are no plans by the state to help reduce expenses or other requirements. No, this will be a LOSS each and every year. ESPLOST is used for capital purchases (Buses, buildings, technology, etc.). Apparently, the state thinks the school can simply “absorb” this loss of income. No big deal. (yeah, right!). The loss of the 1 cent on SPLOST will effect both the city and the county. Currently we have a negotiated agreement that we split SPLOST revenues 50/50. So this loss will effect each of us the same amount. SPLOST income currently amounts to about $842,911 per year. By removing Motor Fuels from the calculation, this number will reduce each year to $711,501. A loss of about $131,410 per year. This money is going away. So the county and the city will each face lower SPLOST revenue on the next SPLOST of almost $65,705 EACH! Like the school’s ESPLOST, SPLOST is used for capital expenditures like Road Equipment, Tractors, Recreation Department improvements, Sheriff Department Vehicles, etc. This loss of $131,409 per year amounts to a loss to the city and county of $788,460 on the next 6 year SPLOST! The tractors are STILL going to wear out. The deputies are STILL going to need vehicles. Water Meters are STILL going to go bad. Our option? We can only raise property taxes or fees to take care of the shortfall. The loss of the 1 cents on LOST will also effect both the city and the county. Currently we have a negotiated agreement that we split LOST revenues 50/50. So this loss will effect each of us the same amount. LOST income ON MOTOR FUELS current amounts to about $393,690 per year. So this is ANOTHER $400K that the state is pulling away from local coffers. BUT WAIT! NO WORRIES! The state is going to “come to our rescue.” They are going to “allow” the county to vote an additional 6 cents excise tax to be added to motor fuel in addition the the excise tax that the state is accessing. And to hear them talk, “that solves the problem.” But does it? In Pulaski County, we sold 4,224,231 gallons of gas in fiscal year 2014. So the 6 cents would increase the COUNTY coffers by $253,454 each year. Now last time I used my calculator, $253,454 does not bring back the lose of $140K (in LOST dollars) and $131K (in SPLOST dollars) and $131K (in ESPLOST dollars). Nope, by my calculations when you combine the decreases in LOST, SPLOST, and ESPLOST, our citizens are being short changed by about $403,000 PER YEAR! And that is AFTER our sole commissioner implements the 6 cents excise tax. If he should choose NOT to implement this tax, then the citizens will lose some $650K per year. Thanks Legislators! Even if our sole commissioner DOES implement the 6 cents of excise tax (taking the heat of a “tax increase” rather than the state taking that heat! ), the STATE is telling us HOW he has to split it with the city. Previously, our LOST and SPLOST splits were NEGOTIATED LOCALLY. Now, they are giving us a formula based on road miles in the city/county and population in each. The result will be on both LOST AND SPLOST rather than splitting 50/50 as we have for years, the STATE is telling us the motor fuel excise tax will be split 73/27. The county will get 73% and the city will be reduced to 27%. OUCH! SO…. Not only are they reducing our monies, but they are TELLING US how to split the reduced amount they plan on giving us! Based on 2014 figures, and assuming the county DOES implement the 6 cents, then the COUNTY will still lose $78,000, the school system will lose $131,000, and the city will lose $194,000 PER YEAR! And this is AFTER the 6 cents excise tax which the county may or may not implement. “Revenue Neutral huh?”. The city will bear 48% of the reduction. The school system will bear 33% and the county 19%. To replace this money, the county could be forced to raise their millage by almost a half mill. The school system could be forced to raise their millage by almost half a mill. And the city (who is hit the hardest) could be faced with over a 2 mill increase. (and we haven’t raised the millage since 1987). THERE’S EVEN MORE! With LOST, the revenues go into the general fund. Your elected leaders can spend this money how they see fit (and answer to their local constituents). With SPLOST and ESPLOST, while the money has to go to capital projects, your local officials decide (by voter referendum) the projects that our citizens need. But with the coming changes, all the money from the motor fuel EXCISE tax MUST be spend on Transportation. We will have no choice. The State again TELLING us how to spend our money! Hope is not yet lost. The bill is still in committee. The final has not been seen. And then regardless of what the house comes up with, the State Senate will still have their input and revisions. So ultimately it might be better. It might be worse. No one knows at this point. My fear is that the final version won’t be significantly different that I have presented. I encourage you to contact our local state representatives and tell them NOT to pass this bill in its current state. Do we need more transportation dollars in Georgia? Yes! Do we need to collect those dollars by pulling them from the local economy? No! The alternatives are many. They can leave our local 3 cents sales tax on gas and go on about their merry way. Or they can convert the 3 cents to an excise tax but LET LOCAL ENTITIES decide how to spend and how to divide the money. They can simply ADD to the state’s portion of the excise tax and fund the transportation needs. But no, that would mean THEY would be seen as raising taxes rather than forcing us LOCALLY to raise taxes. Just the FACTS ma’am… just the facts! 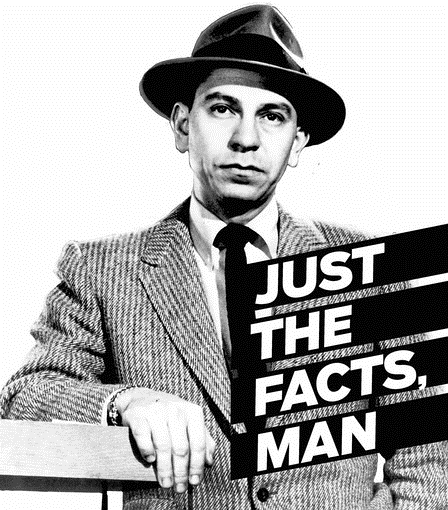 The familiar phrase from Dragnet, “Just the facts, ma’am…just the facts,” is what Sergeant Joe Friday would say when he needed to get to the details he was looking for—and that is what Georgia’s cities are saying with the FACT Act. Georgia’s Department of Revenue (DOR) has worked hard to ensure sales tax compliance but needs legislative permission to offer local governments more detailed sales tax data—and that is just what the FACT Act will do. FACT stands for Full Accountability in the Collection of Taxes. The proposed legislation would require DOR to collect and prepare sales tax data at the municipal level, as well as for the unincorporated areas of Georgia. Rep. Paul Battles (R-Cartersville), chair of the House Retirement Committee, has agreed to sponsor the legislation in the 2014 legislative session. Sales tax data is a tool for both state and local governments and compliance has always been an important for both levels of government. The addition of detailed sales tax figures would allow local governments to be a better partner with DOR in policing retailers who side-step the law by avoiding payment or collections of sales taxes. Better compliance means that tax-paying business owners have greater certainty that they are on a level playing field with their peers. Just as a business needs to know and understand where its revenues come from, state and local governments need the best data available in order for elected officials to make decisions on revenue streams, expenditures and balanced budgets. This has become more of a challenge with the implementation of 2012’s HB 386 tax reforms. In HB 386, the Georgia Agricultural Tax Exemption (GATE) was expanded to include a wider variety of agricultural inputs and broadened the number of types of businesses that qualify for the exemption—making illegal use of GATE certificates easier and more likely. Greater sales tax detail will help give local governments a better view to from which to forecast, while showing fluctuations that may be due to misuse of GATE certificates or other exemptions. If commerce is the life-blood of a community, sales tax data is a measure of that community’s health. Data derived from sales tax figures at the local level could be used by local government officials, the Department of Economic Development and the Department of Community Affairs in accomplishing their missions. With this information available to local officials, public investments can be directed to foster areas of future growth or to shore-up areas of weakened retail commerce. With sales tax figures currently compiled at the county level, there exists an unnecessary subjectivity in Local Option Sales Tax (LOST) negotiations. Since neither cities nor counties can actually say how much sales tax is raised in each jurisdiction, assumptions are made on both sides of the negotiations. Actual city and unincorporated areas’ sales tax figures will give much-needed objectivity in LOST negotiations, ultimately making improved LOST negotiations possible. As a sitting member of the LPC of GMA (Legislative Policy Council of Georgia Municipal Association), I support this measure. Information is relevant. 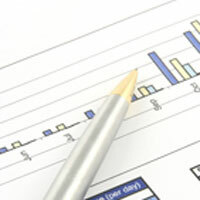 During the 2012 legislative session, the General Assembly approved sweeping tax reform in H.B. 386. The bill had overwhelming bipartisan support in both Houses, passing with a 54-0 vote in the Senate and 155-9 in the House. Originating from a larger set of recommendations unveiled in January 2011 by the Special Council on Tax Reform and Fairness, the tax reform package included a number of provisions that impact our community. Among the provisions: a new motor vehicle title fee (TAVT) to replace the ad valorem tax on automobiles; elimination of the sales tax on automobile purchases; elimination of the sales tax imposed on energy used in manufacturing; and broadening of exemptions for the agriculture industry including energy, equipment, and business inputs such as seed, fertilizers, feed, etc. The reduction of sales tax revenues is no surprise as the state fiscal analysis of H.B. 386 prepared prior to passage of the bill projected that elimination of sales tax on automobiles and the included sales tax exemptions would cost local communities $199.6 million from 2013 to 2015; however, the fiscal analysis could not have predicted that these losses would be unevenly distributed across the state, a fact which is evident now that the exemptions have been in place for 19 months. went into effect in 2013.
approval of a SPLOST, ESPLOST, or bond referenda erode the revenues available to complete capital projects and to pay off debt. The Georgia Municipal Association has collected data on sales tax distributions to all of Georgia’s 159 counties and 538 cities during a 19-month period from February 2012 to September 2014. Sales tax distribution data was obtained from the Georgia Department of Revenue website, and includes distributions of LOST, SPLOST, ESPLOST, MOST (City of Atlanta), HOST and MARTA sales taxes. The picture above illustrates the percent change in sales tax distributions immediately PRIOR to the enactment of the exemptions to the period following implementation of the exemptions. Areas shaded in green have experienced increased distribution during these time frames; areas shaded in red have experienced decreased distributions. 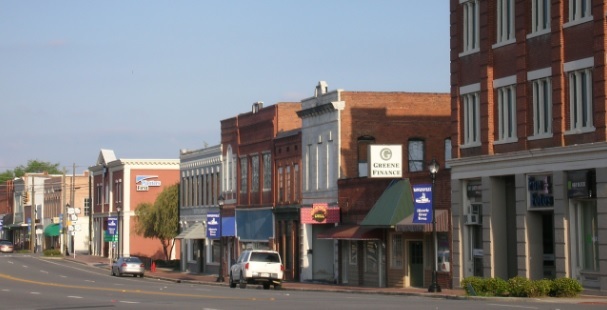 – rural areas have seen greater reductions than urban and suburban counties in Georgia. Pulaski County has seen sales tax reductions from -10% to -15% due to these changes in the law. This effects our LOST (Local Option Sales Tax – which we split 50/50 with the County), and SPLOST (Special Purpose Local Option Sales Tax – used to fund capital projects) and it also effects ESPLOST (Education Special Purpose Local Option Sales Tax – which goes to our school system, not the city). Hawkinsville is working hard to meet service demands, maintain infrastructure, and provide essential services, while cutting departmental budgets. We need to take a hard look at what exemptions are WORKING to bring industry to our state and what exemptions are due to lobbying efforts by well-funded special interest groups!